For a man, shaving is the best way to express his style quotient. Syska brings to you “AquaShave”, a shaver that gives you a refreshing and smooth shaving experience and allows you to express your masculinity effortlessly with the triple head high precision ultra-thin shaving blades and a 360 degree shaving system. 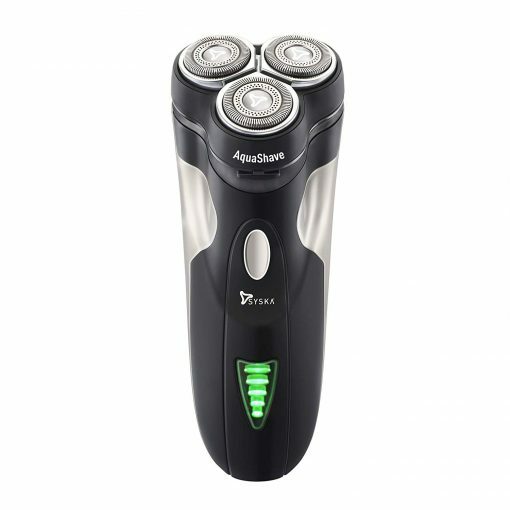 The special intelligent anti-clip system monitors and regulates electric supply to the shaver and is designed for a safe shave. So, now style up without any hassles. Faster, sharper and much smoother, the triple head dual track shaving system with high performance technology called SensoCut gives a close & comfortable shave without any nicks or cuts. The Syska AquaShave comes with skin friendly stainless steel blades for a smooth trimming experience. The blades have a unique self-sharpening technology wherein the blades brush against each other, sharpening themselves as they trim so they stay sharp and effective from 1st use. 3D floating head ensures close skin contact and adapts to the contours for a fast and close shave even on neck and jaw line. 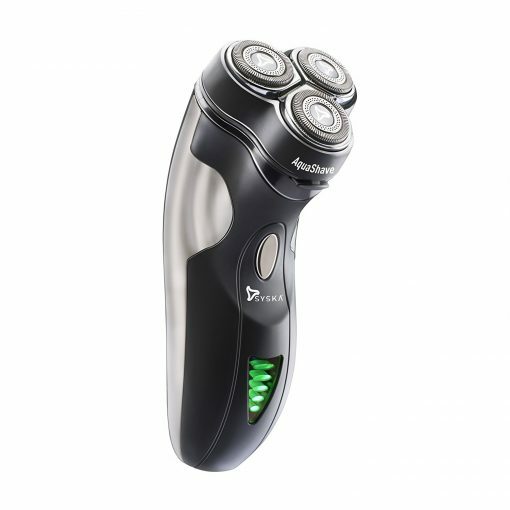 The two shaving tracks with 360° rotary shaving system offer fast and close shave in lesser time. The first ultra-thin blade helps to raise the hair and cuts off the thick and long hair whereas the second set cut the minutest hairs to give you a clean detailed shave. 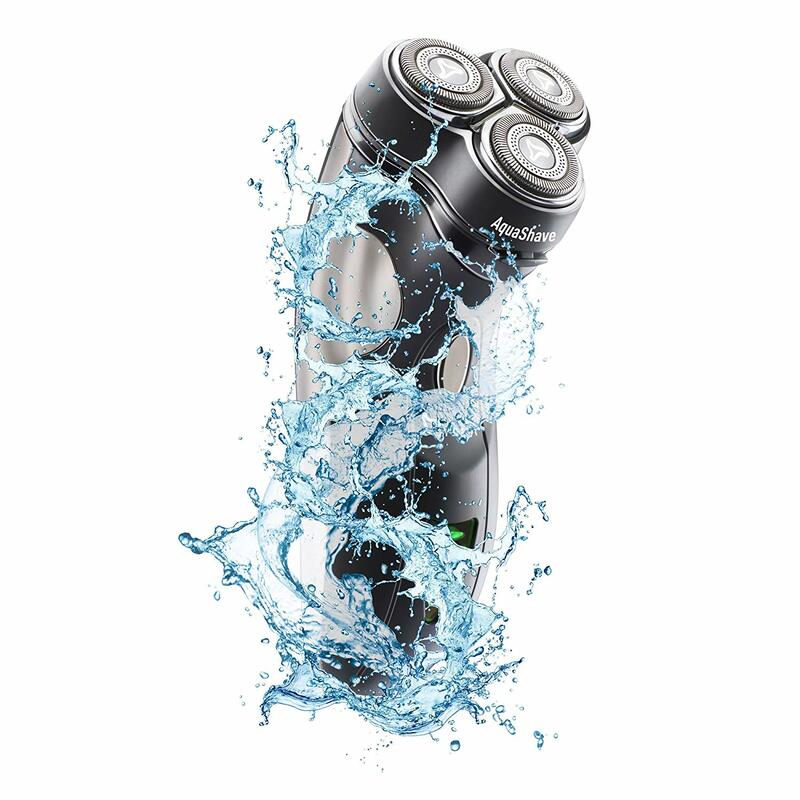 With the AquaShave you can shave wet  with gel or foam or dry  even under the shower as its 100% waterproof. The pop-up trimmer helps you to seamlessly groom your sideburns as well as your mustache. 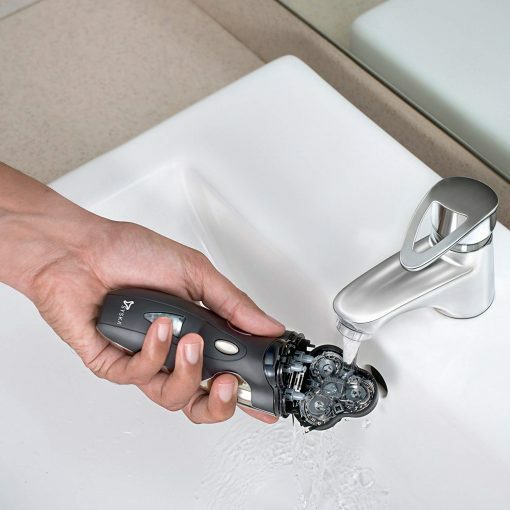 Now no need to worry about your shaver running out of battery. The LED display shows you how much battery life is remaining. SH7251 comes with washable body & openable shaver head. Just wash it under the tap for quick & easy cleaning. Leave it to dry for a while & it is ready to be used again. You can also use the provided cleaning brush to remove all hair or dust. IntelliSense is a chip which monitors the RPM of the blade & gives long lasting optimum performance. 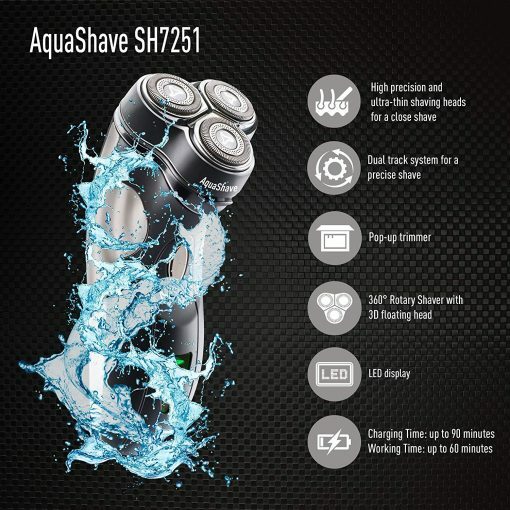 The AquaShave has a rapid charging feature along with long lasting battery life. Just plug in for 90 minutes and get up to 60 minutes of continuous use. No hassles of a cord or any wires to be attached while using. You can carry your shaver wherever you go as its light in weight & comes with a travel pouch & protection cap which keeps all dust, dirt and bacteria away. 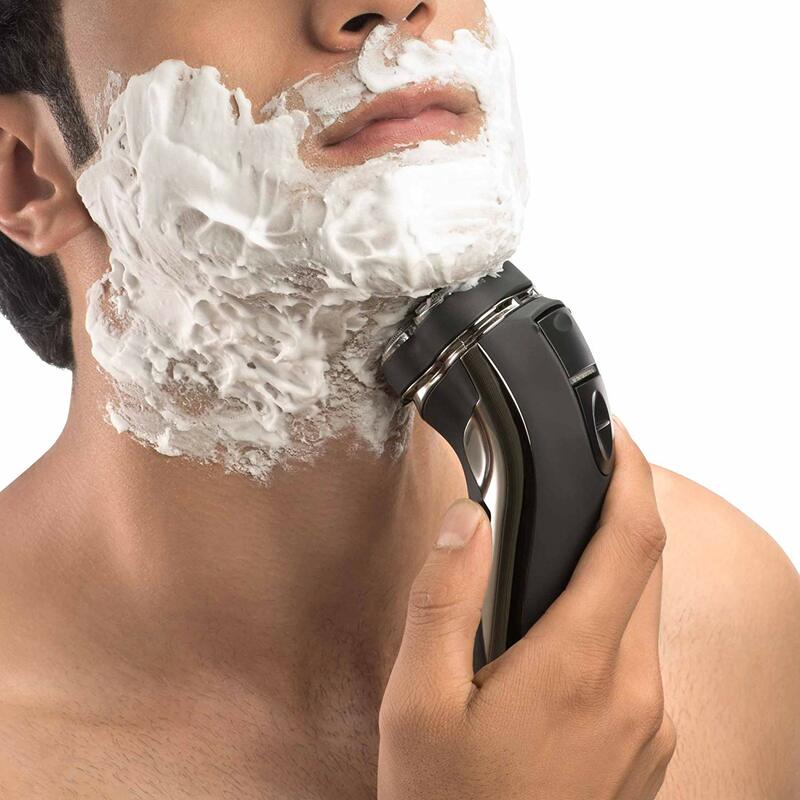 The powerful lithium-ion battery gives 60 minutes of shaving time  considering, 1 shave = 3mins then you get around 20 shaves, after just 90 minutes of charging.